Is it coming home or what? 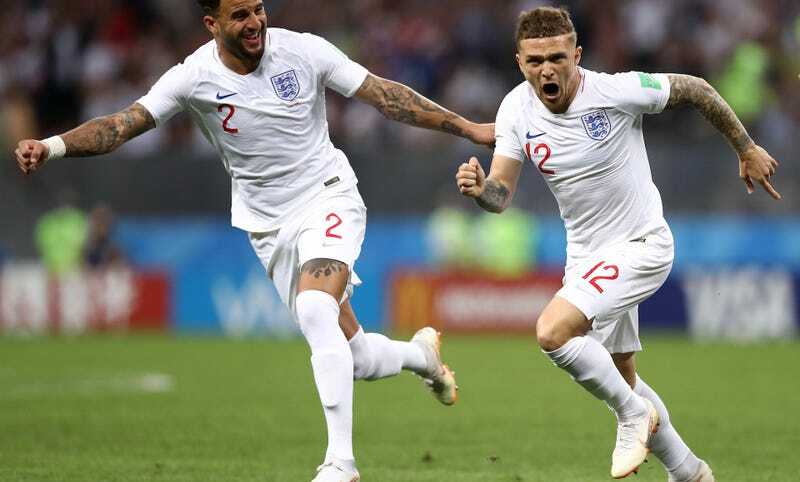 It only took five minutes for Kieran Trippier to do his thing and put England up 1-0 with a gorgeous curling free kick from just outside the box. Pretty shameful jumping by the Croatian wall. This was, somehow, Trippier’s first goal for England, and it seems as if it’s in position to come home.